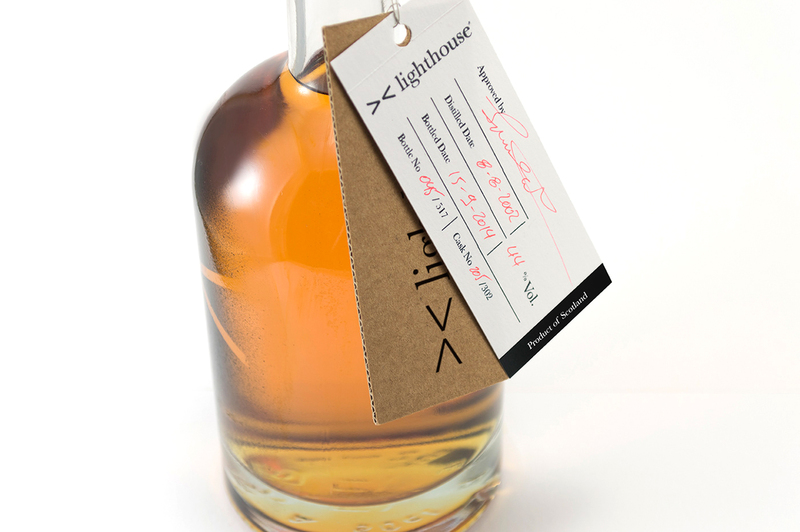 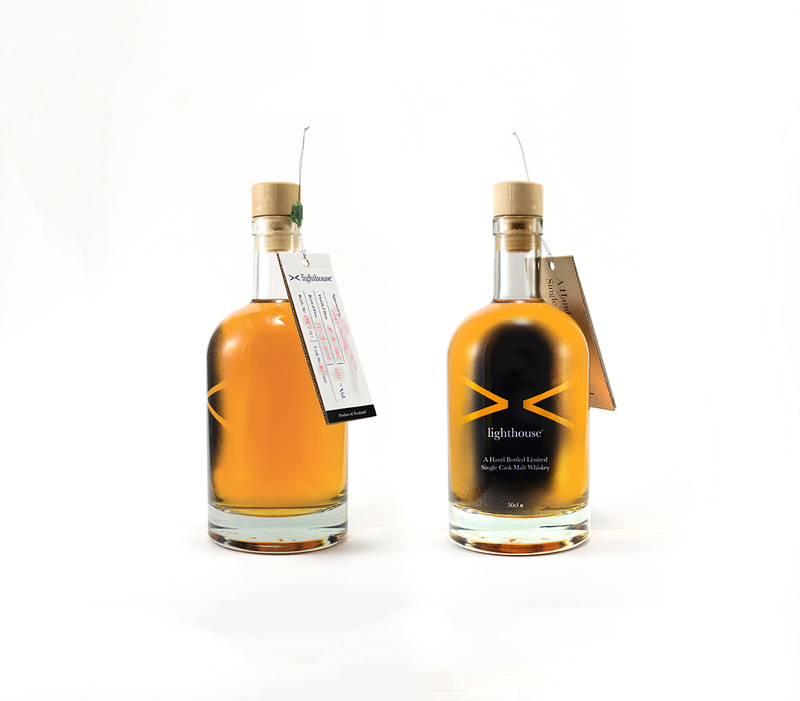 The Briefing: Lighthouse is a small distillery based in Scotland, created from the great-grandfather ( a lighthouse keeper ) of the family, since then the youngest blood has take the lead, with passion and fresh ideas giving new life and image to the family business. 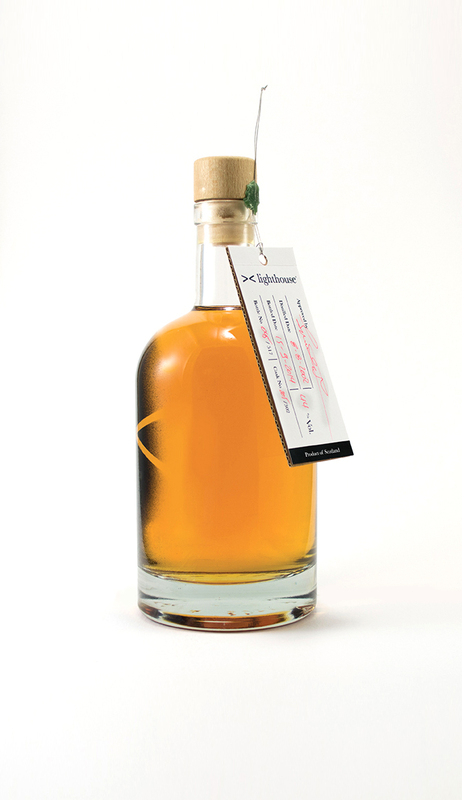 My task was to create a new logo along with the packaging of the product, a hand bottled single cask malt whiskey. 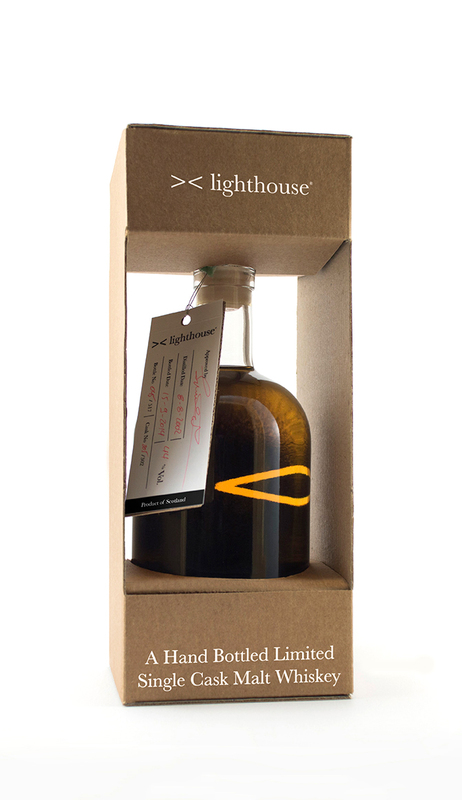 The Design: Inspired from the light beams a lighthouse creates I came up with a minimal symbol followed by a classic font. 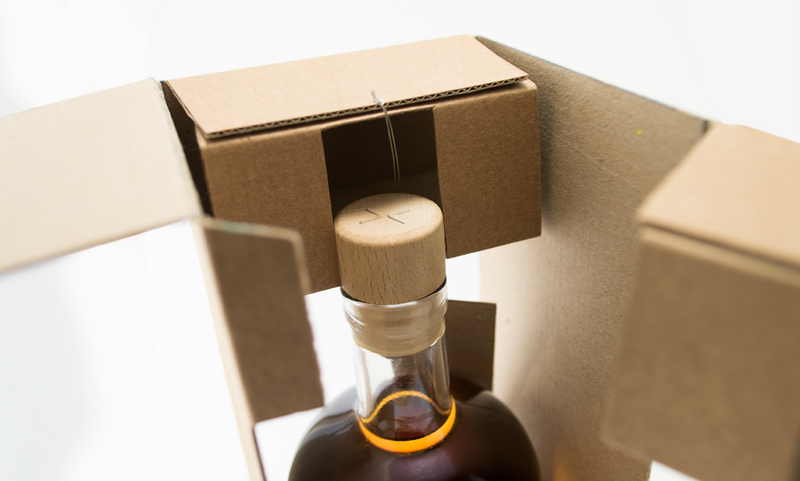 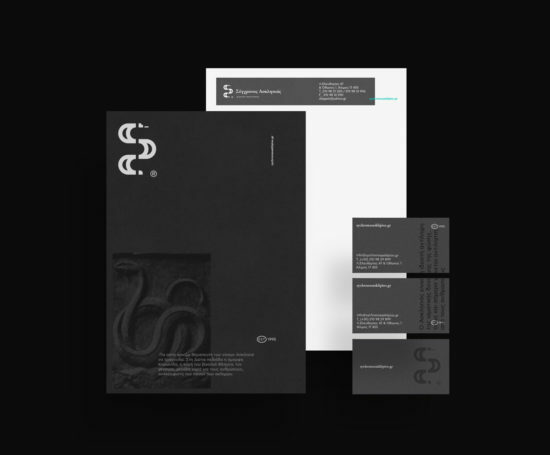 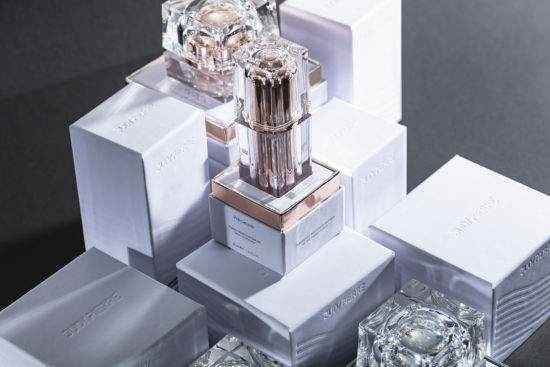 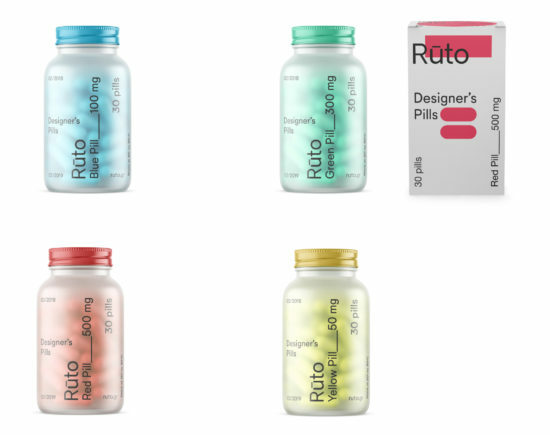 For the packaging I choose a cardboard box which adds a more modern style in combination with the white slick printed typography which adds an interesting texture to the package. 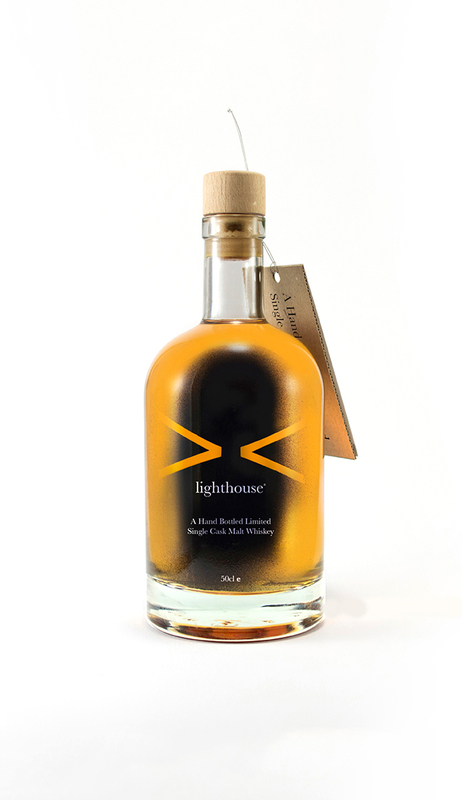 I painted a small part of the bottle black that represents the dark skyline of the ocean during the nighttime and I left the shape of the logo ( light beams ) transparent, that lets the light to shine through the unpainted areas and creates the lighthouse effect with a warm caramel yellow colour of the whiskey, like a warm fire that is calling the sailor back home.